When you consult with your HVAC company to schedule AC installation, it is a good idea to learn more about how this component of your HVAC system works. 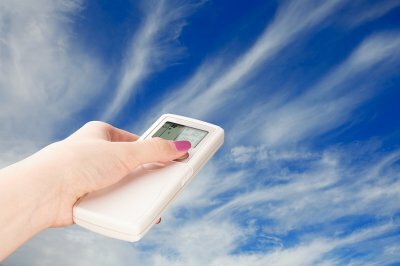 An air conditioner cools your home by relying on information from your thermostat. By keeping your thermostat at the right temperature, you can help your residential HVAC system operate at the best level of efficiency. In the event that you have troubles with your HVAC system, you will want to get in touch with an HVAC company that offers AC and heating repair in Murfreesboro. Your technician can inspect every component of your air conditioning and make sure that it is running smoothly. For an overview of what you need to know about air conditioning, check out this video clip. The summer season is right around the corner, and now is a terrific time to make sure that your HVAC system is ready to help you stay cool and comfortable. In order to make sure that your air conditioner will be able to help you beat the heat, it is a great idea to work with your local HVAC company . An HVAC company offering air conditioning service in Murfreesboro will have the tools and experience needed to identify and address any maintenance problems that may be troubling your AC system. With proper air conditioning maintenance, you can keep your HVAC working all summer long. Here is a look at some air conditioner preparation tips for the summer. One of the most important steps of getting your air conditioner ready for the summer season is to clean your filters. The air filters in your HVAC system are responsible for filtering out dust, pollen, and other types of debris from the air that you breathe indoors. If your air filters are clogged, your air conditioner will not be able to perform at its best efficiency. If you have not used your air conditioner for many months or more, it may be necessary to check the condenser coils for signs of dirt or debris. During the winter season, fallen leaves, grass clippings, and other items can clog up your condenser coils. If you find that your condenser coils are clogged, you can clean them using the hose attachment on your vacuum. A final step of preparing your air conditioner for summer is to inspect your coolant lines for signs of damage. Your coolant lines are responsible for delivering refrigerant liquid to the cooling system of your AC unit. A refrigerant line that is cracked or broken could cause significant problems to your HVAC system. To get the most out of your air conditioner maintenance, it is a great idea to contact the professionals. If you need to have your residential HVAC system serviced, you want to be sure that you’re hiring a company that offers the best services in HVAC maintenance and HVAC installation in Murfreesboro. Therefore, the choice is apparent: Quality Heating & Air. With over 15 years of experience, Quality Heating & Air is an owner-operated business that offers superior heating, venting, and air conditioning services, which includes: heating and air conditioning repair and maintenance, HVAC system installation, air duct cleaning and sealing, HVAC maintenance plans. For added peace of mind, Quality Heating & Air provides an HVAC maintenance plan. For a small monthly fee, enrollees can receive discounts on parts and labor, priority service, 24-hour service-calling capability, complimentary refrigerant and filter replacements, emergency care, and seasonal tune-ups. Customer satisfaction is of the utmost importance to Quality Heating & Air. The owner Chad Williams personally shows up to meet with clients face to face, and conducts consultations and provides estimates. He’s a certified HVAC contractor, licensed electrician and plumber, and a proud member of the Quality Contractor Network. Your HVAC system can show many signs of malfunctioning in its lifetime—some issues can be repaired while some issues may require a complete replacement. If you live in an area where summer and fall temperatures remain consistently high on a daily basis, your air conditioner may be running in overdrive, causing it to wear out quickly. Even if you routinely perform, or hire an HVAC specialist to perform, air conditioning maintenance in Murfreesboro , you may find yourself in the market for a new unit. 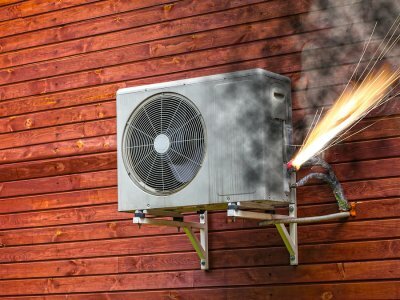 Here are the telltale signs to look out for that can determine whether or not you need to replace your air conditioner. A major determining factor that you need a new air conditioner is your unit’s age. Air conditioners and heat pumps generally show their age after 10 years of service. Consider your entire system’s age, as well. Furnaces or boilers have an average lifespan of 17 years. When choosing a new system, take the opportunity to upgrade to an ENERGY STAR model. Your local HVAC professional can help you. Air conditioners use liquid refrigerants to cool the air inside homes. If there’s a coolant leak, your AC unit becomes less effective. Have an HVAC specialist perform a diagnostic exam on your cooling system if you find evidence of leakage. It may be time to replace. If your air conditioner is on and warm air is circulating, there may be a serious problem with your unit, especially if coolant levels are normal. Your HVAC system’s thermostat relies on sensors to be able to regulate the temperature inside. If your air conditioner’s sensor fails, your unit may run nonstop. Not only can your monthly energy bills rise, but also your air conditioner can become overworked. Two telling signs that it’s time to replace your unit are strange noises and odd odors. Grinding or clanging noises should be very concerning, as well as foul odors such as burning rubber smells.